The Ancestral Path Tarot, by Julie Cuccia-Watts, is a phenomenal deck which depicts the ancestors of different cultures and times. First published by US Games Systems in 2003, this popular deck uses the myth and traditions handed down through verbal and written histories, was again republished to allow others to enjoy this wonderful Tarot experience. 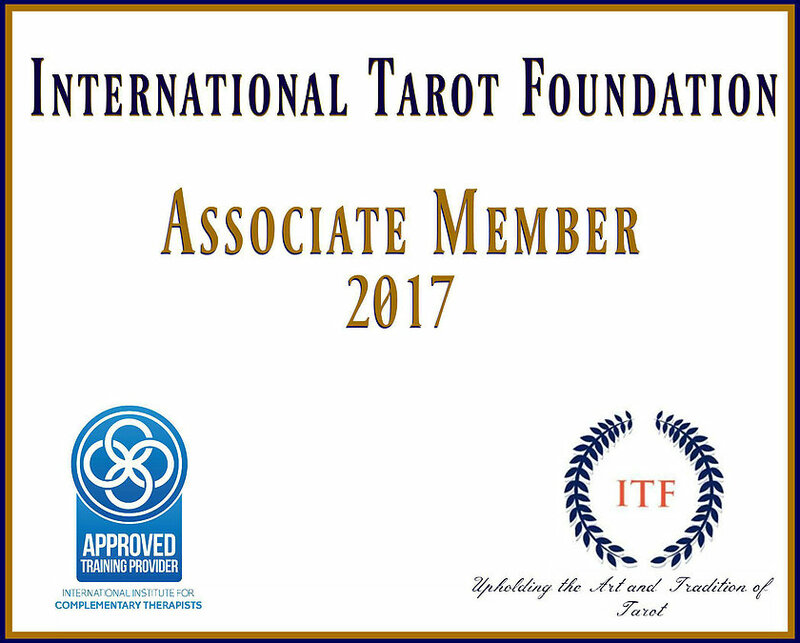 This 78 card deck will lead you on a path of discovery (through archetypal imagery) that will allow you to discover your own spiritual truths. The cards are bordered white with a thin double line that absolutely accentuates Julie’s unique and compelling artwork. The Major Arcana are all named with the traditional names such as The Magician, Tower, Star and the like with the exception of The Hanged Man being altered to The Hanged One. The card stock is the usual fantastic stock used by US Games and will not let you down when shuffling. It’s a smaller than average height and a bit wider, so you may find that shuffling from the side is a bit easier. The backs are absolutely beautiful with a worshiping gathering under the Sun and completely reversible with the same gathering worshiping beneath a full moon, done in hues of blue. 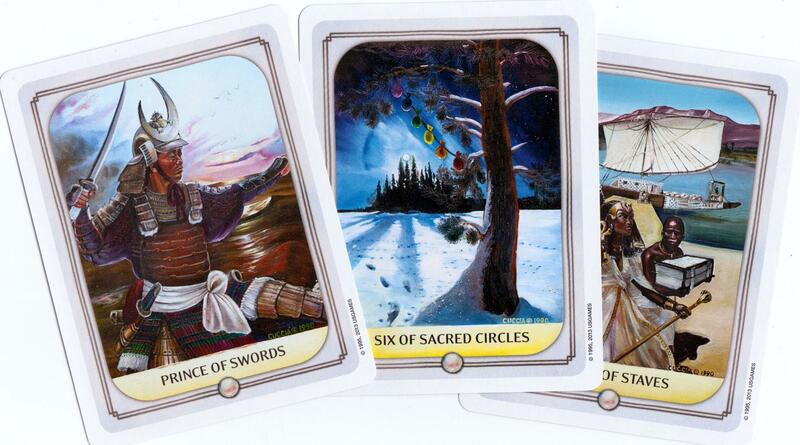 This deck beautifully illustrates minors from the cultures and influences of Japan (Swords), Native American (Sacred Circles), Arthurian England (Cups), and Egypt, (Staves.) Julie’s use of color and line gives her imagery a earthy type texture and reads very well. I connected right off with this amazing deck and use it quite often when doing past life readings or questions related to family. This is the perfect deck for anyone whether just starting out or a seasoned reader, I highly recommend it!